On Monday night, the Boston Celtics travelled to Al Horford's former abode, and faced off against the Atlanta Hawks. The Celtics came home with the win, but the outing didn't go as pleasantly as it could've for Horford. On a play in the second quarter, he got Kent Bazemore to bite on a pump-fake down low, and as Horford went up with the ball, Bazemore came down, and caught Al in the noggin with his arm. 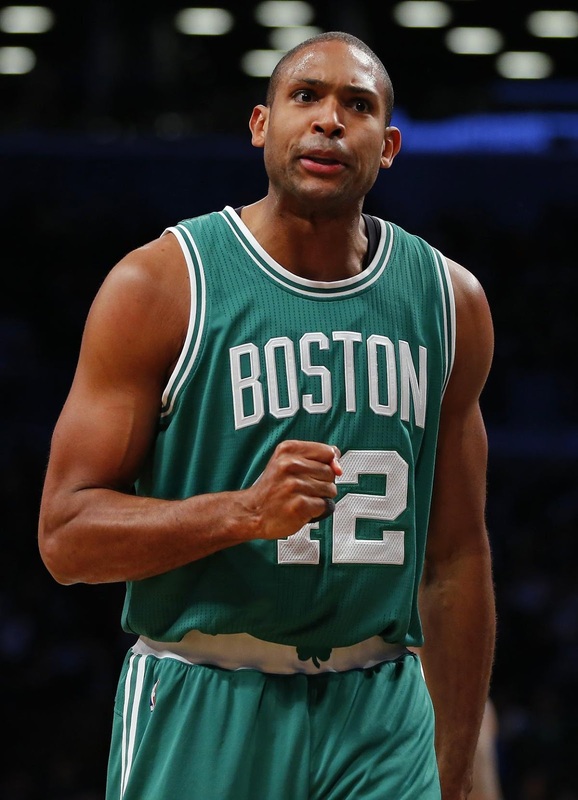 Horford was a bit shaken up on the play, but played the entirety of the game and finished with a near triple-double of 15 points, 10 rebounds, and 9 assists. It wasn't until the next morning that Horford was diagnosed with the concussion, which has some worrying about the severity of the injury. Because Al suffered a concussion last season and missed nine games with the team, the concern is that there is some underlying issue with this injury, and that this concussion may be more critical because of the reoccurring nature. It seems a bit odd that the symptoms weren't prevalent immediately after the collision, but then again, I'm no medical professional. Thankfully for the internet, anyone can be a doctor! A quick WebMD search found that delayed symptoms aren't uncommon among patients with concussions, and that the hindered signs aren't anything to worry about. Here's what Brad Stevens had to say. So the big question is: how long with Horford be out? Well, the bad news is that he'll at least miss one more game. The Celtics sent their injury report to the Charlotte Hornets today, and it was determined that Horford won't be participating in tomorrow's matchup. The good news is, that this injury may not keep Al out as long as last year's concussion did. No official word on Jayson Tatum's right ankle injury, but the Celtics are listing him as questionable for Fri game vs #Hornets, w/Al Horford (concussion) already ruled out. Danny Ainge said Al Horford’s current concussion doesn’t appear to be as bad as the one that sidelined him for nine games last season. I'd like to trust Danny when he says that Al's current concussion isn't as bad as last year's, but then again, the Celtics have always been inconsistent with injury reports. Remember last year when Avery Bradley missed 22 games because of an achilles strain? Well he was considered day-to-day for a good chunk of that time period. Just a tease for every Celtics' fan around. The deeper players on this team should be able to step-up in Horford's absence and keep this winning streak going, but it's certain that this team will miss their unofficial captain. His ability to get everyone in the team involved is distinctive, and he's still the only player in the league to have have a positive +/- in every game of this season. In the least, we'll be able to see some of our young bigs get some floor time. But I miss Al already. Please get well soon @alhorford.